And in this two-part seminar, you’ll hear all about it from one of Hollywood's top dog licensing experts. 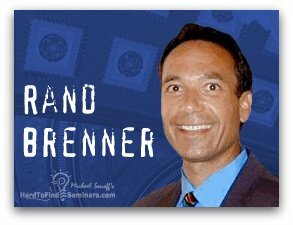 His name is Rand Brenner. He helped Warner Brothers Studios successfully license the first Batman movie and also helped Saban Entertainment make it big with the Mighty Morfin Power Rangers brand. And in this interview, Rand shares his biggest (and easiest) secret techniques he’s learned along the way so you can make it big in the intellectual property licensing game.